McDonald's saw phenomenal growth in the 1970s after it decided to give its customers more options with its breakfast menu. Apple was almost bankrupt until 2001 when it released the iPod, expanding to a new market for hand-held tech devices and changing the course of its company toward the success it's achieved today. Then there's Kodak, leader in the photo/camera industry for almost a century - that was before smartphones, digital photography, and the Internet were around. Since then, they've tried to expand into other industries with no success, and the value of their business is only a fraction of what it was during their prime in the late 90s. So what do all of these examples have in common? They all involve the decision to either continue with business as usual until their competitors run them out of business or to expand/increase what they offer their customers, and the huge effect this decision had on their business. Ok, so your decision to add a new service to your green industry business might not have as much impact as the decisions from these examples. But the point is this kind of decision can end up really paying off, or it could end up harming the business that you've shed blood, sweat, and tears over. Either way, if you want to make the right decision, you have a lot to consider. The following tips come from years of real-world experience in making these kinds of decisions in a green industry business, and they'll help you make the decision that will maximize your business's profits. 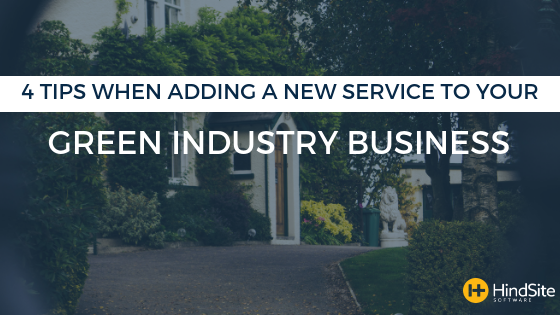 And hey, even if you haven't seriously considered adding another service to your green industry business, it can't hurt to explore your options. Is there any demand for the service you're considering adding to your business? The best way to find out is to talk to your customers. Before investing in new equipment, labor, licensing, permits, etc., you need to know if it will all pay off. Try to see if anyone is interested in the service you're considering adding, or if there are any services you may have overlooked. At a minimum, your customers will see your business as more helpful and more concerned over their best interests. 2. Evaluate existing service providers - should you contract work out to them, or compete against them? Subcontracting work out to the businesses that already offer the service you're considering adding can be a win-win opportunity for both of you. You can bring them more business, and more options for your customers can attract more customers for you and keep their loyalty. Existing service providers might also be interested in paying for each of your referrals, or in referring their customers to you. On the other hand, it might be more profitable to compete against them, and win over customers in their line of business. Remember to consider things like the cost of new equipment, maintenance and storage cost of the additional equipment, costs of advertising the new service, costs of licensing and insurance, and the cost of labor. You've worked hard to make sure your customers can be confident that they'll be satisfied with your service, every time. You wouldn't want to put the reputation of your business in the hands of someone who doesn't know what they're doing. Depending on the service, an inexperienced employee could easily turn in to a liability if the employee ends up hurting him/herself or damaging expensive property. Be sure you hire people who have experience with all of the types of work they'll be doing. Remember your employees are one of your most valuable assets. Make sure that you're open to their suggestions. An experienced employee might have insight and advice that could be more valuable than you ever expected. After you've integrated a new service in your business, cross promoting it can be an effective way of assuring its success. As an example, let's say you've added a few landscaping service options to your irrigation business. 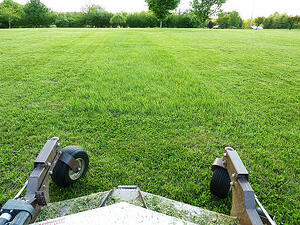 A good idea might be to offer a free lawn care service with the installation of a new irrigation system. Your customers will be less hesitant to pay for a service after they've had a free demo and are sure that your service is worth the money. This strategy can also work the other way around - promoting your irrigation service to customers who began business with you for your lawn care services. Beyond the benefit promoting each service your business has to offer to your existing customers, cross promoting services can also be a good way to attract new customers. Download our free eBook for more tips on green industry success!